I hope everyone is having an awesome holiday break! Here are some photos of what we’ve been up to lately!! Here’s a few from last year’S batch! hOT ChOCoLaTe IS GOOD!! anY TiMe Of DaY Or NiGhT!!! I just really love Christmas! my second completed painting during a church service…here’s the video if you would like to watch.. 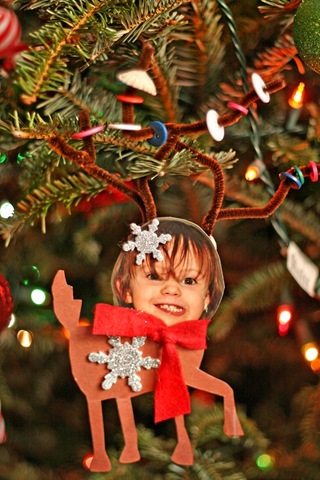 I pinned some of your ornaments so I can remember them when my little one is a little bigger! One of my mom's favorite Christmas ornaments is of my brother, who was looking very ornery, as an angel. It's his picture on top of a clothespin with a paper doily for the body and a gold pipe cleaner for the halo. I really like your hot chocolate Christmas tree photo. I tried to do custom bokeh last week but instead of the lights changing shape in the photo, it just made kind of a vignette around the border. I haven't had time to experiment more but I haven't had any luck searching for a solution. I'm not sure what I did wrong... Any ideas? I actually looked at that and a tutorial from Digital Photography School but neither have a "if this is what you got, here's what you did wrong" section! :) My husband is actually off work for the weekend now so maybe I'll have more time to try it out and solve the problem. Thanks!